At Larson Engineering, we welcome the challenging projects that our clients entrust us with. We foster collaboration, diversity, and synergy within the firm. Our model is to be nimble and adapt to the ever changing construction industry to ensure the continued success of our clients. 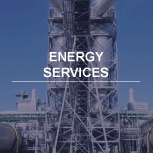 Together we passionately use our engineering talents for the enhancement of our people, our communities and our clients. The new Nike Flagship Store in New York recently opened. Our St. Louis Office was proud to be part of the design team. We ran the structural analysis for the steel-framed facade with special 3D glass, as well as the all-glass entrance. The New United States Courthouse in Los Angeles was recently named as one of the nine winners of the 2018 AIA's Institute Honor Awards for Architecture. Our St. Louis Office was proud to be part of the design team. 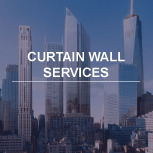 We provided the structural design of the unitized curtain wall system. The Broad was also named as one of the nine winners of the 2018 AIA's Institute Honor Awards for Architecture. Our St. Louis Office was proud to be part of the design team. We provided structural analysis of the veil facade member connections and anchorage of the veil facade to the building structure. The Nassau Veteran's Memorial Coliseum was featured in Alucobond Magazine. 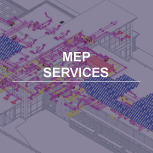 Our St. Louis & Chicago Offices were proud to be part of the design team. You can read the article here. The Lord & Taylor Flagship Store was featured in September's issue of Glass Magazine. Our White Bear Lake Office was proud to be part of the design team. You can read the article here. Larson Engineering expanded its services to the West Coast. Our Seattle, WA office officially opened its doors on September 5th. Marina Heights serves as the regional headquarters for State Farm. The complex sits directly on Tempe Town Lake and is comprised of 5 office towers totaling 2 million square feet of office space. Our Scottsdale Office provided the engineering services for the unitized curtain wall system on all five towers. You can read more about the building in this article. The Los Angeles Federal Courthouse was featured in ASCE Magazine. 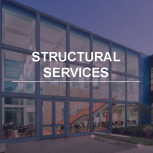 Our St. Louis office provided the structural design of the unique serrated curtain wall system. The innovative glass design cantilevers the façade above the stone base giving the building an illusion of floating. You can read the article here. Check out this video of the rain oculus that was added to Marina Bay Sands Casino resort in 2011. Our St. Louis office was part of the design team that provided the structural design of the curtain wall. 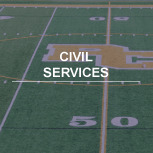 Larson Engineering's White Bear Lake, MN Office recently had three of their projects featured in the February issue of Civil Engineering Magazine. US Bank Stadium, The Shed & Florida Polytechnic University. You can find the article here. 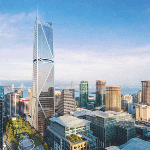 181 Fremont Tower has been featured in Structure Magazine. Our St. Louis, MO office was part of the design team for this project. You can find the article here. 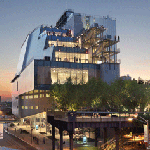 The Whitney Museum of American Art has been featured on the cover of the May Civil Engineering Magazine. Our St. Louis office was part of the design team providing the fire-rated curtainwall. You can find the article here. Our Norcross, GA Office recently attended the Biomass Expo Conference in Charlotte, NC. 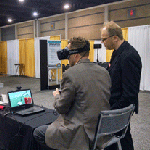 At the trade show Larson offered virtual reality tours through some of their material handling projects using Oculus Rift glasses. These glasses allow users to look around them by just turning their heads.